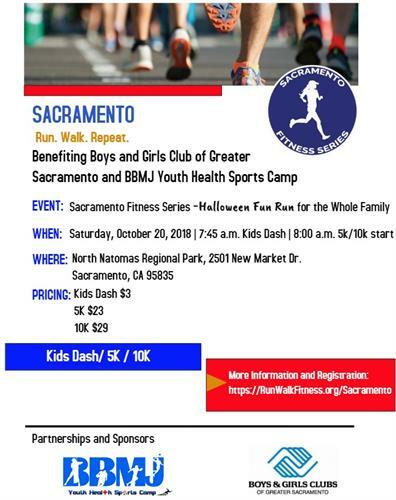 Whether you’re a longtime racer or first-time runner, the Sacramento Fitness Series is for you. We have a 5K (3.1 miles), a 10K (6.2 miles) and a Kids Dash. It’s a family-friendly event and everyone is welcome! A portion of the net proceeds from the series benefits BBMJ Youth Sports Camp and the Boys & Girls Club of America (Sacramento Chapter).